All-suite hotel designed for business, leisure or relocating travelers. Spacious one-bedroom and two-bedroom/two-bath suites come with complimentary hot breakfast buffet and midweek evening dinner receptions. 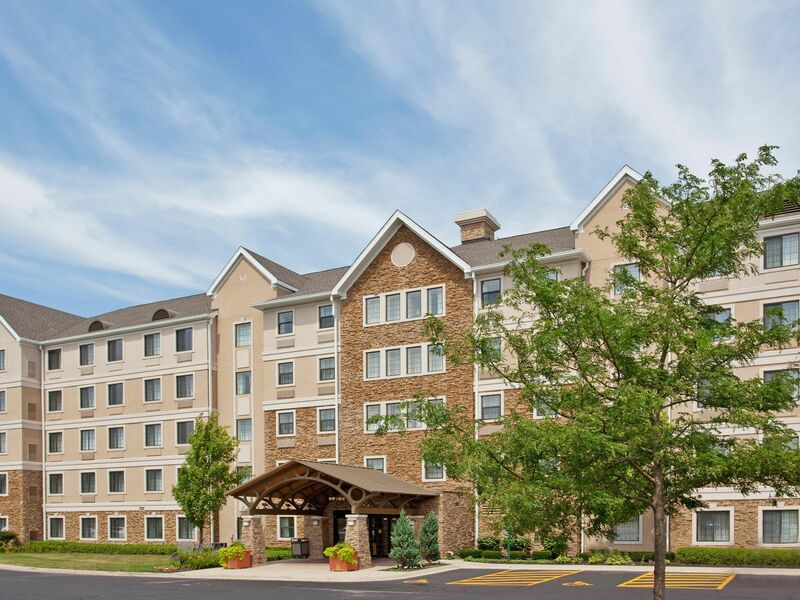 Features complimentary Wi-Fi, indoor pool and hot tub, fitness center and outdoor sport court, walking distance to Metra train station to downtown Chicago and minutes from downtown Aurora. Surrounded by numerous restaurants and shopping choices. The hotel sits in a unique and quiet setting with multiple running/walking paths behind the property. Want to see more? Click here to view a 360 tour of the property. Homewood Suites is focused on guest satisfaction and stands behind each stay with its 100% Suite Assurance® guarantee.